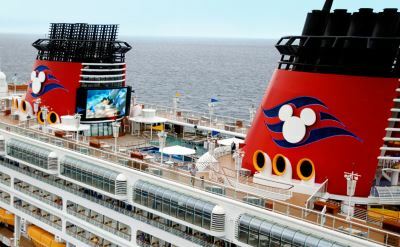 The Disney Magic is one of the iconic ships in the Disney Cruise Line fleet. For a schedule of departures, see our Disney cruises from Charleston. The recently updated Disney Magic now has Marvel's Avengers Academy, AquaDunk 3-story waterslide, and AquaLab water playground. 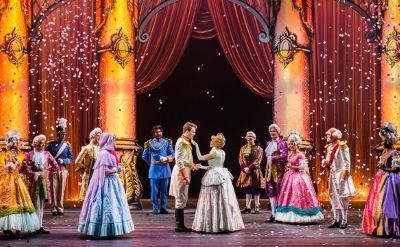 Entertainment includes dazzling shows at the Walt Disney Theatre. 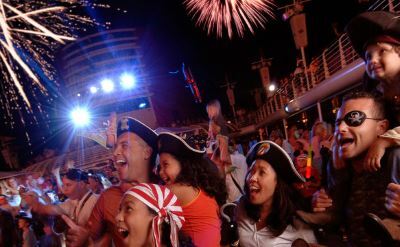 Disney characters come out for deck parties at Pirate Night and Adventures Away. At D Lounge parents and children play game-shows together. Buena Vista Theatre has the big screen for first-run movies. Exclusive features for adults only include Senses Spa, Quiet Cove pool, fitness center, Fathoms nightclub, and Signals lounge. There are 12 places to eat on the Magic. Choose from Carioca's, Cabanas, Animator's Palate, Lumiere's, Preludes, Palo (for adults only), Pinocchio's Pizzeria, Pete's Boiler Bites, Daisy's De-Lites, Frozone Treats, Eye Scream Treats, and room service. 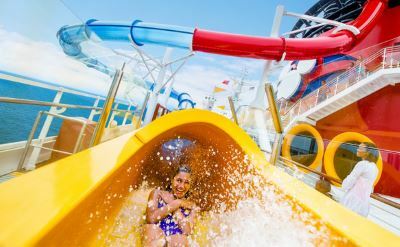 Read a review of a cruise on the Disney Magic. The whole family enjoyed it, from grandparents to kids.